Most academics in university law schools claim to offer a liberal education. Few have thought very much about what a liberal education in law means. 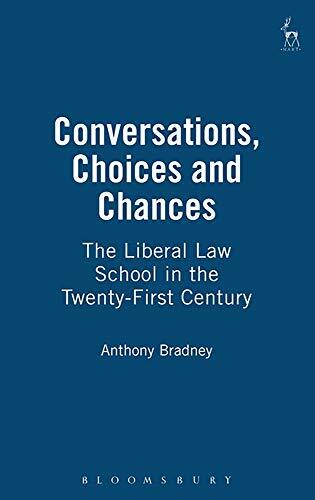 Basing itself on a detailed examination of the theory of liberal education, this book looks at what the liberal university law school should be doing in terms of its teaching, research and administration. Anthony Bradney is a Professor of Law at the University of Keele. We guarantee the condition of every book as it's described on the Abebooks web sites. If you're dissatisfied with your purchase (Incorrect Book/Not as Described/Damaged) or if the order hasn't arrived, you're eligible for a refund within 7 days of the actual delivery date. If you've changed your mind about a book that you've ordered, please use the Ask bookseller a question link to contact us and we'll respond within 2 business days.